KYC was conducted on key members in the team but one member failed! This is a serious flag. Will be willing to review this rating again if the team responds. White paper - The white paper is doesn’t give much confidence in investing in the ICO as it lacks the specifics. Also, for this offering to work, it needs a healthy share of ICO’s to work with this platform. The idea could potentially work if they have partners and no mention of any partnership. 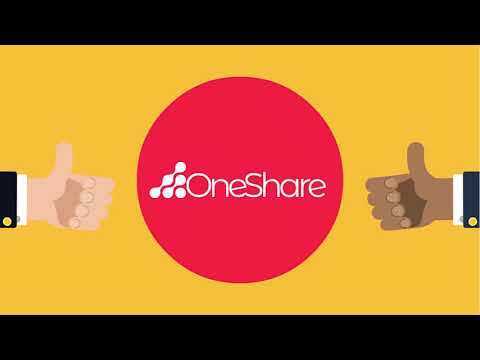 Team - The team has 3 members of which 2 has their affiliations with One Share token. Tokenomics - The tokenomics revolves around profits from investments of One Share fund. Imagine a scenario someone invests in this fund quite heavily and then use the platforms power to vote for investing in a scam for personal benefit or by mistake. The consequences are disastrous. Business Model - The business model is like a gamble on the token holders to make correct decisions. The fund can or cannot perform based on the DApp Voting. MVP/ DApp/ Working Product - No MVP/ DApp ready yet. Overall it’s a whitepaper with 2 founders and an affiliate as a team in it and so it’s better to do additional research if you do want to invest in this vague ICO.